The Distinguished Challengers Award competition has long been a staple of the Western Hemisphere’s biggest woodworking event. Since its inception in 1966, the International Woodworking Fair (IWF) has recognized industry innovation through the unique Distinguished Challengers Award awards program. Initially called the “Challenge to Change” awards, the biennial awards program honoring progressive product pioneers, was renamed the Challengers Awards in 1970. Over the 23 editions of IWF held to date, 156 awards have been doled out for products entered by exhibitors from all over the world. The next class of seven Challengers Award winners will be announced at IWF 2012, August 22-25, at Atlanta’s Georgia World Congress Center. At IWF 2012, Michael Weinig will shoot for its eighth Challengers Award. Weinig already holds a record seven Challengers Awards, winning its first in 1968 and latest in 2006. Weinig can claim for its trophy case at least five more of the Challengers Award statues — designed by renowned sculptor Carol Marks — when its acquisitions of previous recipients Dimter (a two-time winner), Grecon, Holz-Her and Raimann are factored into the equation. Stiles Machinery, which has piled up five Challengers Awards to date, has a pair of products among the 20 finalists in this year’s competition. Barr-Mullin, no longer in business, ranks third, holding claim to four Challengers Awards, its last coming at IWF 1994. The National Association of Furniture Manufacturers (NAFM) organized the first IWF in Louisville in 1966. In addition to having approximately 250,000 square feet of machinery and supply displays, the inaugural IWF featured a scale model of the Furniture Factory of the Future and the Challenge to Change Awards. Forty-two years later, Charles (Tommy) Tomkins, IWF 2008 chairman and president of Crescent Fine Furniture Co., noted the record 126 Challengers Award entrants that year and discussed the importance of the Challengers Awards, not only for recognizing achievements in innovation but helping foster the development of new Challengers Award-worthy products. Reviewing the list of past Challengers Award winners is like looking at a timeline of woodworking technology evolution. Over the years the Challengers Award judges, typically representing wood products manufacturing companies, have recognized innovative technology as well as significant contributions to environmental and safety improvement in woodworking, machinery, supplies and service. Following are just a few notable examples culled from the complete list of Challengers Award winners. 1966: Among the six winners of the first Challenge to Change awards was a tapecontrolled router made by Ekstrom Carlson, an early precursor of today’s CNC machining technology. 1968: A Schwabedissen panel sizing system hints at the European panel processing technology to come. 1972: George Koch Sons’ UV curing system for wood finishes helps drive development of UV finishing technology and coatings. 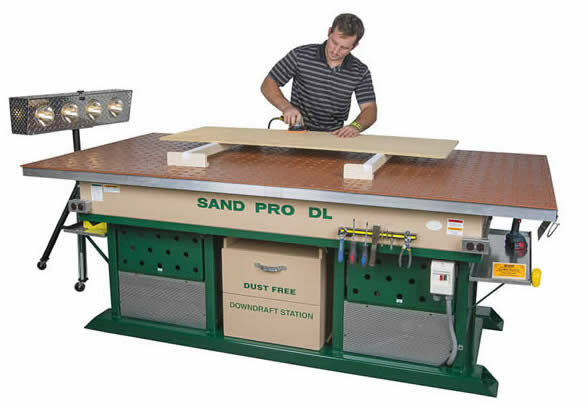 1976: Thermwood’s Cartesian 5-axis CNC router was credited as the first CNC router for woodworking. 1978: Moldow Dust Control won a Challengers Award for the Flamex spark detection and extinguishment system, a technology that has helped prevent many wood dust-related explosions and fires over the decades. 1986: Homag’s Homatic control system for panel saws and edgebanders allowed woodworkers to pull part programs from a software library, saving companies time and money. 1990: Dimter’s Optimax lumber scanner was the first of many automated wood defect detection systems to win Challengers Awards. 1990: Wemhoner’s 3-D membrane press literally opened the door for using MDF as a cost-effective alternative for five-piece solid wood doors. 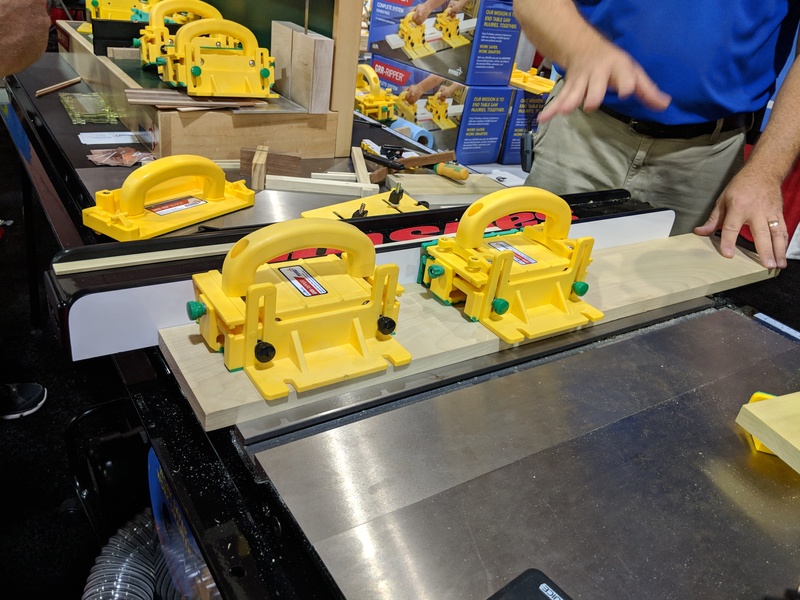 2000: The SawStop flesh-sensing technology, now being reviewed by the U.S. Consumer Product Safety Commission as the basis for a potential new table saw safety rule, won a Challengers Award. 2006: Biesse’s Skipper machining center eliminates set-up time in switching from one part format to another when machining single panels, two identical panels or two mirrored panels. 2010: King Slide’s push open soft close undermount slide brings Challengers Award recognition to a whole new category of cabinet hardware that started years before in Europe.